Little recently has been written about Newburyport’s once booming shoe industry in which my forebears played a large if not dominant role. However, much of it is in bits and pieces from newspapers and readily available tomes such as Jean Foley Doyle’s “History of Life in Newburyport 1900-50.” She cast the factories as sweat shops which is probably not far from the truth and certainly by today’s standards. More on that later. 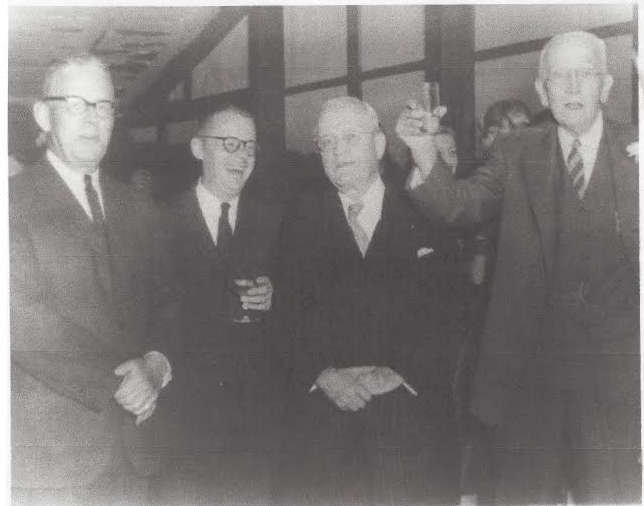 The recent “250th History of Newburyport” picture book from The News is engrossing, but misidentifies one Dodge factory and errantly labeled a photo of the Fortnightly Club as the TNC. Heavens! The shoe industry’s history is worth telling, though, and represents an important chapter in the economic and social history of Newburyport. Shoe manufacturing picked up the economic slack from the struggling ship building trade which had moved to Boston and Salem as the vessels got bigger and required deeper channels. Immigrants streamed into Newburyport hungry for work and a means to survive so absent in the countries they left. Sometimes, they even prospered. And people needed comfortable shoes and slippers. To learn about this once booming industry, you have to pore through hundreds if not thousands of newspaper stories. So a few weeks ago, I set out to dig up what I could in the archives room of the Newburyport Public Library. I wanted to get a more complete picture of Newburyport’s shoe industry as well as my Dodge ancestors. What were they like inside and outside of work? Where were their factories? Which ones are still standing? How did they treat employees? Besides curiosity, a small part of my motivation was when I was in public school in the 50s and 60s, the name Dodge could invoke antipathy that I couldn’t figure out until a few years ago. I surmised grandparents or even parents of some classmates – many first generation Americans – worked in those factories. Mention of the Dodge name surely got some teeth gritting. Indeed, the Dodges were lords and masters inside and outside their numerous factories and probably were despised by some workers. And possibly loved, too. What I found was a trove of information about what can best be described as Newburyport’s ruling family from about 1865 well into the 1920s. 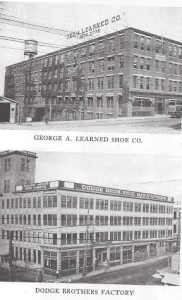 At any given time, several large Dodge shoe companies were operating in Newburyport. 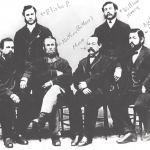 “In 1866, the shoe dynasty of the Dodge family in Newburyport began with the arrival of John Livermore Dodge, Nathan Dane Dodge, and Elisha Perkins Dodge in the city. They had previously been involved in a shoe shop in Lynn,” writes Ron Irving in a chapter “The entrepreneurs: The Dodges and H.B. Little.” More on author Ron Irving later. Nathan D., Elisha P., and John L., who was my great, great grandfather, came from a family of 10 and were 8th generation Dodges. A fourth brother Moses had a shoe factory in Albany, which was reported to have burned to the ground on January 18, 1893. 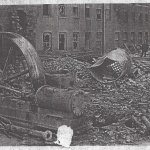 Fires were frequent in factories back then and most were put out with little damage. For instance, from The News on Oct. 3, 1903 reported a blaze at the Dodge Brothers factory that was quickly extinguished.” Most, but not all, were quickly extinguished. Dodge and Little were every bit the tight-fisted Yankees, but in many industries of the day, owners might not give victims’ family a dime, reasoning divine providence had simply put them in the wrong place at the wrong time. The Dodges also leased or owned factories in Portsmouth, Dover and Rochester, N.H. and other sites in Newburyport, several on Middle and Water Sts. mostly near the intersection with Fair St. One gets the sense the shoe industry was boom or bust given how often factory owners leased space to set up shop or leased it out to other shoe manufacturers. A floor here, a factory there. Elisha Perkins Dodge is one of the more interesting shoe barons. Born the last of 10 siblings on Oct. 5, 1847 in Ipswich, he was, besides astute in business, a renaissance man of sorts with interests in dramatics, politics, travel and civic obligations. Indeed on April 25, 1893, The News reported E.P. Dodge would play Pickwick in an “An evening with Dickens” with the receipts donated to the fledgling Anna Jaques hospital. On Dec. 11, 1889, The News’ headline blared “Dodged In! The Big Shoe candidate is elected.” His foremen had done their jobs well and arm twisted Dodge employees into voting for their boss as mayor of Newburyport. His opponent, J. Otis Winkley, was one of many “anti-dodgers” in town who wanted the shoe magnate to go down. Alas, Elisha won by 90 votes. He held that office for two years, but declined to run again, citing his need to focus on business interests. He was also rumored to have Congressional ambitions and The Lowell News made a big deal out of his trip to Minneapolis in 1892 to nominate President Benjamin Harrison for re-election over his former secretary of state James G. Blaine. Indeed, the Boston Herald reported on May 16, 1892 that Elisha was one of 26 GOP delegates from Massachusetts to the Republican convention. He was a long time member of Unitarian Church and donated $1,100 for repair of its organ. He served many years as president of the Newburyport Improvement Society and the Essex County Liberal Christian’s Association. He along with Major Hale were two of the first trustees of the Anna Jaques Hospital when it was founded in 1884. He was president of an Ipswich bank and a founding member of the Oldtown Country Club in 1902. You get the picture…he had many irons in the fire. The Unitarians were indeed liberal, but the local church relied on wealthy and often conservative donors, including the Dodges. The News on March, 9, 1891 noted the inherent contradiction after Mayor Dodge said the chief cause of improvidence, vice and intemperance was encouraged by a system of relief. Best as I can tell, the following passage from The News was paraphrased by Ron Irving. His conservatism and intolerance of those who could not take care of themselves typified capitalists and businessmen of that era. The more things change, the more they stay the same, apparently. Religion, politics and acting were secondary to his various shoe interests. Elisha founded his first company in 1866 at age 19 and was continually bringing on new partners and changing the company name. It started as Dodge & Danforth, but a year or two later morphed into the E. P. Dodge Co. with a new partner named John Balch. However, the Dodge in those first two company names may have been his older brother Nathan. Another source said he was Dodge & Balch’s foreman and didn’t strike out of his own until 1867. Over time, Nathan and Elisha’s business interests seemed interchangeable. Indeed, the Dodges looked out for each other. One reason cited for all the partners early on is that Elisha was too young to sign contracts and needed adult supervision as it were. Balch was quickly replaced by William Harris Swasey. 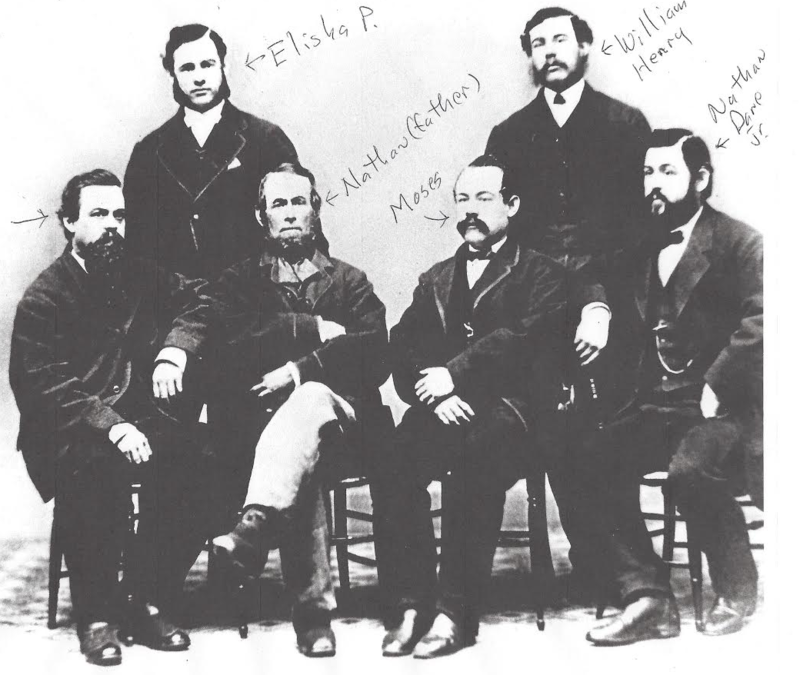 Then the organizational makeup of Elisha’s company stabilized in 1873 when he brought on Henry B. Little as a partner. H.B. Little or HBL as he was known served as treasurer and in other capacities until 1899 when he became president of the Institution for Savings, a job he held until 1953 when he retired early at age 102. However, he held an interest in another E.P Dodge shoe spin off in Dover N.H. until 1922. HBL’s daughter Josephine Driver later wrote that Swasey and her father disliked each other because they had both vied for supremacy at the Institution for Savings. Her description of Elisha in a book published in 1977 brings him to life more than anything else I’ve read or been told. Elisha continued in business until May, 1902 when he sold his company to C.A. Ellis from Haverhill. He died on Sept. 30 from pneumonia several days after feeling ill during a round of golf at the Old Town Country Club. He had three sons Edwin, an MIT trained architect of some repute and a graduate of Ecole des Beaux Arts in Paris; Robert G. who was a very successful lawyer and who co-founded the law firm of Saltonstall, Dodge & Carter. And Laurence Paine Dodge, a founding member of the TNC, and its secretary for a half century. L.P., as he was called, was a stockbroker who was ruined in the 1929 crash and never steadily worked again. In family circles, his exit from stock brokerage was, well, something of a taboo subject. L.P. was also the polar opposite of his father politically. Liberal to his core and quite the comedian, L.P., whom I met several times, easily deflected the slings and arrows of the more conservative members of the TNC. I have no doubt he reveled in taunting them. From a news standpoint, the overriding coverage about the various Dodge enterprises was about labor strife. Sure, there was coverage about new buildings, growth, revenues, payrolls, who had a new car and low number license plate, who was paying the most real estate taxes (often the Dodges) and who of note was heading off to Paris, Mexico or the West Coast (often the Dodges). But the newspaper stories about the Dodge shoe companies predominantly chronicled labor conflicts and work stoppages until the last remnant of the dynasty literally went up in flames in 1934. Using a newly invented machine, lasters attached the sole of a shoe to the top. As this entry suggests, E.P. often acquiesced to labor’s demands early on. Shoe cutters, bottomers, lasters, heelers and stitchers wanted more money, better working conditions and guarantees they would not be replaced by machines. In Newburyport, their ranks were heavily made up of newly arrived immigrants mostly from from Ireland, but also from Canada, Greece, Poland, Armenia and Italy. Over time, his position hardened as labor disputes became more contentious, unionized and violent. A good laster could turn out a pair of shoes in 33 minutes by 1891 as shoe manufacturing became increasingly mechanized. Family member Frank Forest Morrill always said that Elisha was the “Henry Ford of shoes”…that he created modern manufacturing methods and took them off the cobbler’s bench. Interestingly, the lasting machine that revolutionized shoe making was invented by African American Jan Ernst Matzeliger, born to a Dutch engineer and a slave from Dutch Guyana. I am not sure, but I believe the following is Irving paraphrasing E.P. Dodge about comparing the new way of shoe-making to the old. During the industrial revolution, the shoe business was no different from other industries modernized by machines. Clearly, E. P. Dodge put his stamp on the shoe industry and Newburyport. Many other Dodges plied the shoe trade right up to my dad when he left the service in 1945 and even yours truly. I’ll briefly summarize several of them. Nathan Dane Dodge Jr., Elisha’s older brother and perhaps mentor, was every bit the successful shoe baron as the baby in the family. Nathan was also the first president of the YMCA in Newburyport and a member of many other fraternal and civic organizations. John Livermore Dodge, the older brother of both Elisha and Nathan and my great, great grandfather, was mentioned less in the local papers, but was a factory superintendent and almost certainly had a piece of action. 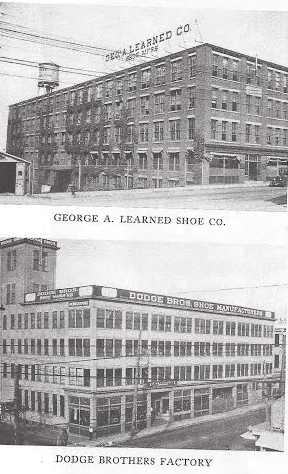 Nathan’s company lasted the longest of all Dodge shoe making enterprises as the Nathan Dodge & Son company and then Nathan Dodge Company. It was beset by labor problems in the 1920s when the shoe industry started to go into a long agonizing decline. Imports and cheaper labor in the south assured the decline of the local shoe industry. (l. to r.) More shoe Dodges: Milton L. (my grandfather), Allen A. (my father), Cousin Will, Laurence P. at a 1958 wedding at Oldtown Country Club. My father told me that Nathan’s son William G. Dodge or cousin Will as we knew him bet one year that the market would want all white shoes. As it turns out, they wanted black (or the reverse) and that was the end of Nathan Dodge Co., which I’ve seen referred to as The Sunshine Shoe company. [Update: Nathan descendant Jim Chandler told me the company’s demise was due to the discovery of King Tut’s tomb in 1922 which somehow changed shoe styles] In my research, I never saw an official reference to the Sunshine Shoe Company, but I know the origin of Sunshine nickname. 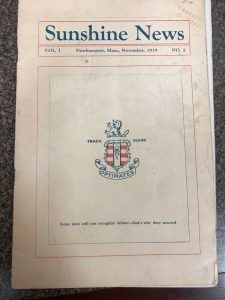 On April 4, 1920, cousin Will purchased the 100-acre Sunshine Dairy farm in North Hampton, N.H. for the benefit of his employees. Vegetables were grown there and sold in the company’s cooperative store. Hmmm, a company store or a touch of socialism? The company’s November, 1919 newsletter reflects its attempts to build community by highlighting its WWI veterans, efficiency and a suggestion box where one worker complained about the cafeteria’s lunch prices. Cousin responded that the cafeteria was losing $200 a month! The purchase shows some level of caring for employees as did the many outings Dodge shoe companies put on. Like his father, cousin Will was also president of the local Y and involved in many civic organizations and fraternal orders. For several years, cousin Will came to our house for Thanksgiving crisply attired in a pin-stripe suit with a gold watch chain. For some reason, I can just as easily picture him wearing a leather apron, visor and sleeve garters while cutting shoe leather although I don’t know if I ever saw him that way. He was a warm and cordial man and had lived a hard life. His wife whom I never met was said to have mental problems and was institutionalized for much of her adult life, maybe in part because she lost a newborn in 1917. My father told me cousin Will ended up as a shoe cutter in Haverhill after his company went belly up, just the way he started out. He did well for someone with just a high school education. No Harvard and MIT for him like Elisha’s children, who were his first cousins. Cousin Will died on Feb. 18, 1964. I haven’t thought much about him in years, but in researching him, I remember him as a good man. For most of its existence the various instances of Nathan’s and son Will’s company was located at 3 Prince St., which was actually owned by the E.P. Dodge Trust until 1919. At that time, the trust sold the large manufacturing complex on Prince Place, Tracy Place and Hale’s Court – 117,000 square feet of manufacturing space that once employed 1,500 and was reputed to be the world’s largest manufacturer of women’s boots and shoes – to another shoe manufacturer, W.D. Hannah. Determining which Dodge owned what building and when was somewhat of a maddening process. Clearly, they shared assets and often leased them to other shoe, shoe part and even textile manufacturers. And they were often expanding them by adding floors. In any event, 3 Prince is mostly referred to Nathan Dane Dodge’s in the context of shoe making. Chauncey and his brother Harry Dodge, John L.’s progeny, built another sizable company with a large factory on Merrimack St. on the corner of Bridge Rd. Chauncey was my great grandfather and Harry my great uncle. The pair started around 1887 as The Dodge Brothers on Prince St. after working for Nathan for some period of time. As best as I can tell, they had a plant on Water St., but built a five story wooden factory on Merrimack St. in 1890 and expanded it in 1905. They continued to make news and expand into the teens, but seem to drop off the newspaper’s radar screen in the 1920s. Perhaps, they peaked during WWI when besides shoes, they made army belts, canteen holders and possibly other items for the government, according to my 83-year-old uncle John Dodge. From time to time, The Dodge Brothers seemed to suffer financial difficulties. Uncle John told me they borrowed heavily twice to start up and failed, but the third time was a charm and they hit it big to use his words. In August, 1897, it was reported by the newspaper that Elisha bailed them out when labor problems and soft demand put the squeeze on financially. The company and its 300 employees soldiered on. The Dodge Brothers eventually fell into bankruptcy in the late 1920s as best as I can tell and were unable to pay their debts. Uncle John, who as a child knew his grandfather Chauncey, says that adhesives were started to be used in the manufacturing process. Chauncey rejected them arguing they would never hold and stuck with the more expensive stitching process. With the onslaught of imports and changing manufacturing methods, the Dodge Brothers’ failed. I recall some of the bankruptcy documents being hauled to the Hale St. dump in 1978 when my grandparents Milton’s Toppan’s Lane house and farm were sold to the Anna Jaques Hospital, which stripped off several acres of land and sold the house to present TNC member Dan O’Reilly. Harry died in 1927 and Chauncey 10 years later. Many Dodge Brothers suppliers had to be paid off by my grandfather Milton, who was none too pleased about it. But Yankees pay their debts come hell or high water. No one forgave or lowered those debts even though Dodge Brothers had been a loyal faithfully paying customer for decades, which embittered Milton toward such companies as coal supplier W.E. Atkinson. The debts took many years to pay off even after his father Chauncey’s death. 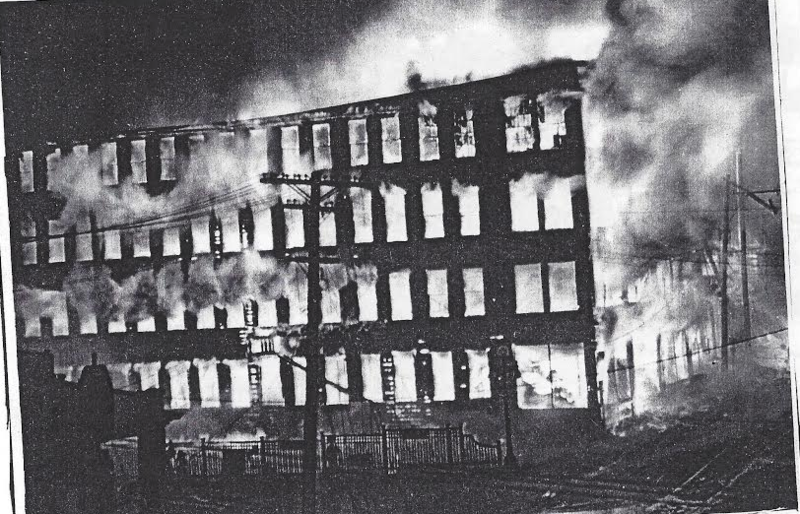 Dodge Brothers Merrimack St. factory engulfed. The Merrimack St. factory was the scene of the second largest fire ever in Newburyport (the fire of 1811 which destroyed the entire downtown and 250 buildings was the biggest). 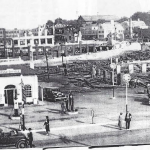 On May 19, 1934, the factory burned to the ground. 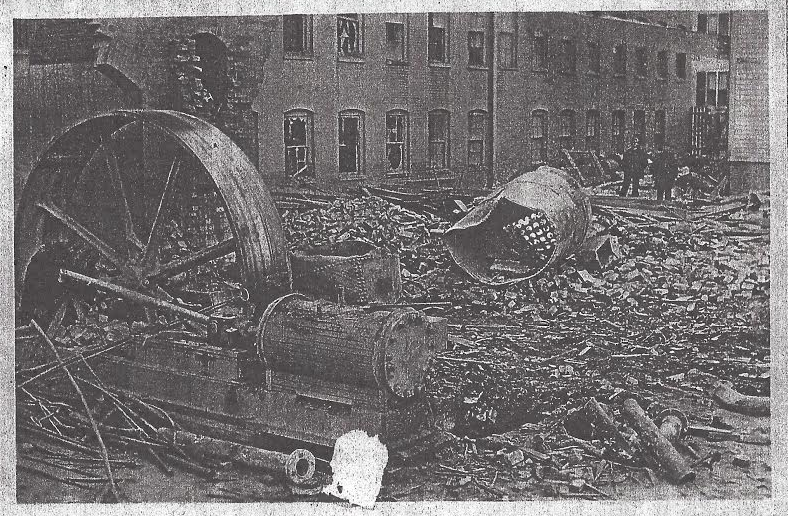 The George Learned shoe factory next door looked like a bombed out shell after 15 fire companies extinguished the inferno. Six hundred workers were reported to have been thrown out of work. Two factories and 15 other structured were destroyed. A “firebug” who’d been setting other fires around the city was suspected, but no one was ever charged. My father and uncle told me that the building was uninsured or minimally insured, but that might not have mattered to the Dodges. The News reported on August 1, 1925 that the Merrimack St. factory had been sold to Ruddock Brothers of Haverhill. 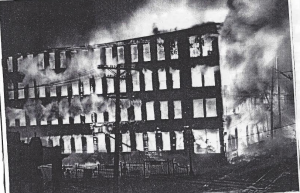 However, Milton’s shoe machine company – the Dodge Turned Shoe Process Company – was still in the factory when it burned and I suspect the Dodges still had an interest in the structure. Symbolically, the million dollar fire signaled the end of the Dodges in shoe manufacturing, however my grandfather Milton, a long time member of the TNC, made a good living developing shoe machinery. My father and aunt thought he held 85 patents, but I have located records for only a couple of them. On May 17, 1917, the Prattler in the News reported “Milton Dodge has been granted a second patent of a shoe turning device.” The following October, he would ship out from Montreal to France as part of the American Expeditionary Force in charge of a Howitzer battery. I can still picture his doughboy helmet hanging in one of his Toppan’s Lane farm barns. I also found a record of another patent granted in May, 1925. The 1930s were not kind to my grandfather. He was paying off his father’s debts, the depression was on, the factory burned down and he lost a landmark lawsuit in New Hampshire regarding payments for his inventions. If he had prevailed, he very well could have earned a royalty on every pair of shoes made in the U.S. such as he was earning from several companies Massachusetts, including L.B. Evans, which is still around as a brand today. According to my uncle, the New Hampshire judge was in the pocket of his state’s shoe companies and was not about allow someone from Massachusetts to get a piece of their action, deserved or otherwise. “It really tore him up,” my uncle related. What’s more, he suffered a nervous breakdown, which was hushed up because psychological issues carried such a stigma in those days. I knew my grandfather well for 25 years and he showed no ill-effects from those hard times. Including me, that’s five straight generations of my immediate Dodge ancestors in the shoe business. 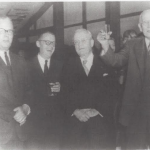 John L., Chauncey and Harry, Milton, my father Allen and me. Why me? After Milton died in 1975, he kept getting orders for Dodge Fitmasters and Vampmasters from United Shoe Machinery (USM). The Fitmaster was a machine he invented to shrink and expand shoe leather for custom fitting ladies shoes. 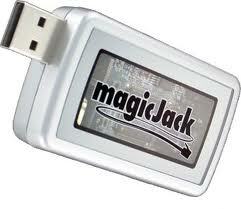 The Vampmaster was a smaller handheld device specifically for custom fitting toes in ladies shoes. I acquired parts and machined, ground, buffed and assembled them, filling about 150-200 orders and raked in $125 per Fitmaster. In part, the proceeds helped fund my masters degree at Boston University the following year. Everywhere I went – USM in Manchester, N.H., the USM foundry at The Shoe in Beverly, DuPont Teflon coatings in Wellesley, there was deep respect, affection and admiration for my grandfather. “They don’t build them like that anymore. He was truly a country gentleman,” one supplier told me. Unexpected as those orders were for me, I was truly the last scrap of what had once been the Dodge shoe dynasty. I became a journalist the following year. Milton was also the thrifty Yankee, of course. I worked on his farm and in his machine shop on Toppan’s Lane during my youth and into my teen years and on a couple of occasions, we bickered about pay. One time, he cut my wages to 85 cents an hour when he thought I wasn’t working hard enough. My father intervened and the minimum wage of $1.15 per hour was restored. That’s my own tale of labor strife. So let me sum up. Yes, the Dodge factories like many of the day were dangerous and hot sweatshops. Yankee thriftiness, ingenuity and efficiency prevailed. While many of the workers struggled to survive, the shoe shops as they were called provided employment and a stepping stone to the middle class. If there were no factories, what would there have been? Indeed, there was much labor agitation, but I suspect there were also many workers who just went home after work, wanted to support their families and improve themselves. Much has been written about social mobility in Newburyport, but that’s a paper for another year. There’s also an irony here. Conservative Yankees the Dodges were, but that 8th generation of shoe men – Elisha, Moses, Nathan and John – assumed the same risks entrepreneurs take in Silicon Valley today. None as near as I can tell had college educations. Elisha started as a railroad surveying assistant at age 16 and transitioned to shoe cutter shortly thereafter in Moses’ Albany factory. At various points, the Dodge barons performed the same duties as their lowest paid workers. They thoroughly understood and refined every step of the process. They were innovators and can claim many inventions that modernized shoe making. Milton’s big invention was the pump former, a machine that ironed wrinkled leather in the finished shoe to make it sparkle in the store window. 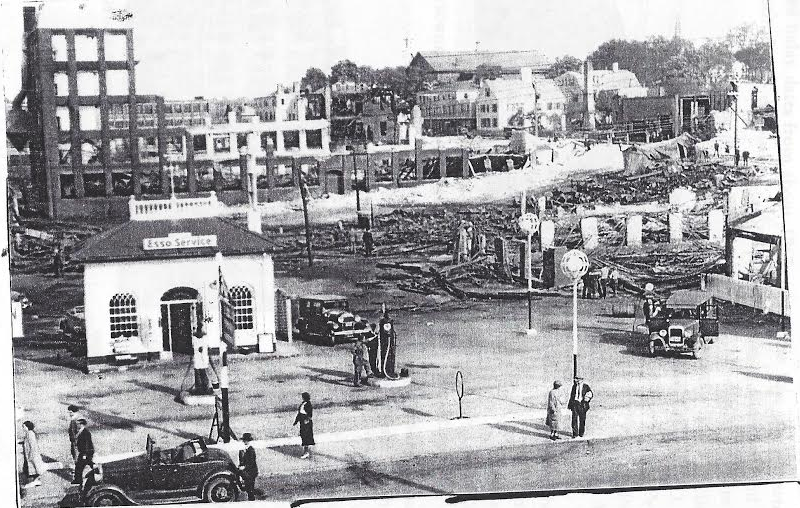 The Dodges lived well, but rarely ostentatiously, in about a dozen different High St. houses from Toppan’s Lane to Federal St. and a couple on State St. Chauncey, my uncle told me, had the first car in Newburyport, a Stanley Steamer he over charged and crashed into the back of his barn. Alas, the Dodge shoe dynasty was not to last. There again, some day Apple will meet its maker. — I came across an entry about a labor agitator named Lott McNamara being sent packing back to Haverhill following a disturbance in a Newburyport factory. As it turns out, Lott was the great grandfather of my tennis and golf buddy Kevin McNamara, who confided that Lott, who is buried in the Bridge St. cemetery in West Newbury, was the “black sheep” of his family. Kevin’s Irish grandfather with a Jew and an Italian co-owned a shoe factory in Haverhill around 1928. They were nicknamed the “League of Nations.” Kevin’s dad was a well-known Haverhill eye doctor whom I saw once or twice as a child. — The Newburyport Library archive contains some remarkable sources. Prominently displayed on the days I visited was a horizontal photo of Newburyport’s 80 or so WWI veterans with a note asking for visitors to identify the various soldiers. Standing smartly in uniform and looking every bit the victor, there was my grandfather Milton, second from the right of the officer dressed in white. This photo portrait alone is worth a visit if you have local ancestors who fought in WWI. — Does any one know who Ron Irving is? Probably not. Ron was the janitor at the Newburyport Public Library for many years. Apparently, he spent years abstracting articles from The Newburyport Herald and Newburyport News. The scale of what he did is mind-boggling and few know about his work, one of the archivists told me. It’s all on a DVD you can get by request and it is searchable at some levels. Consider this. The section on Newburyport manufacturers was 1,289 type-written pages. Of that, 400-500 pages were on the shoe industry. The chapter on manufacturers was one of 15 or so that covered everything from retailers to churches. No doubt, the entire work is many thousands of pages. His labor of love was enormously helpful to me. Wading through the newspapers on microfiche would have been an immense task. What’s more, I discovered many of the newspaper stories I cited are unreadable on microfiche save the headlines. For some reason, Ron’s last entry for the Newburyport Herald was Dec. 5, 1888 even though it continued publishing until 1915. After 1888, he relied exclusively on The News. In the late 1800s, the Herald was the Republican newspaper for the status quo and The News was more sympathetic to the working man and immigrants. I tried to reach Ron at his High St. home in Amesbury. Alas, the number was disconnected. If anyone knows anything about him, please let me know as I’d like to connect with him. 9) Ron Irving’s wonderful and exhaustive newspaper chronology. 10) Wikipedia and a few docs from Google searches. 17 comments On The Dodge shoe dynasty of Newburyport, Mass. Thanks for sharing your family histroy John, Fasinating! Do you have any European family history that you discoved? What ship did your ancestors come on in 1638? Any Royality? William Dodge came over on the Lion’s Whelp in 1629 to Beverly/Salem (there were about 10 ships built with that name or designation). His brother Richard came over nine years later. Richard is my 11x or 12x great grandfather. No royalty as far as I know. They hail from East Coker and Middle Chinnock in England. 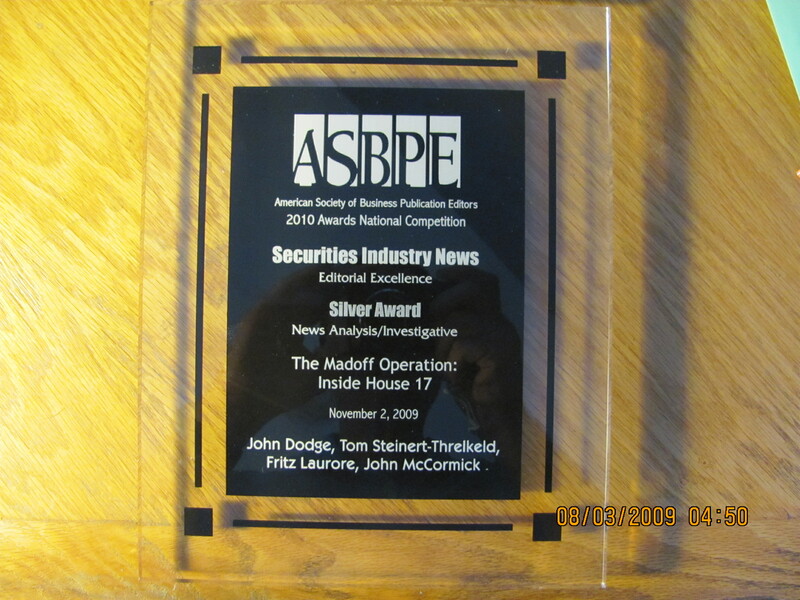 Hi John – thanks for the great article! Really enjoyed it. I’m particularly interested in hand tools and toolmakers associated with the shoemaking industry – and was wondering if one “John Wesley Dodge” (from Malden, Massachusetts) who held numerous shoe tool patents dated from the 1860’s to late 1880s was present on your family tree – I’m guessing this is likely as the Dodge family seems well entrenched in the shoe trade during this period – any info or connection you have with J W Dodge would be much appreciated. Most Dodges in the U.S. go back to William and Richard who emigrated from England to the Beverly/Salem area in 1629 and 1638, respectively (I am descended from Richard). So yes, we probably are related although John Wesley Dodge has not turned in my family ancestry research. I can do some looking around, though. As I mentioned in the paper, my grandfather had something like 85 patents on shoe machinery. But those were machines not tools per se. I’m glad you enjoyed the paper. Very interesting and informative, John. I had no idea the Dodge family owned so many shoe factories in Newburyport. Love that you made Fitmasters (such a great way to connect with your wonderful family history), and I enjoyed the story about you working on your grandfather’s farm and in his machine shop. Thanks for sharing this wonderful story! I just came across your blog post on the Dodge family shoe business. I was hoping you’d included a photo of the Dodge Fitmaster. I remember going down in your basement and watching you work on one. I’m not sure I have a picture and I could not find one in Google images. There was a unit on eBay, but that appears to be gone. Like my TNC paper said, I knew Cousin Will – your grandfather – quite well.I never met your dad, but knew of him. He was quite high up in the Canadian government, no? Or he married someone (your mom) who was connected to someone who was. Thanks for reaching out and sorry for taking so long to approve your comment for publication. My wife and I are presently touring in the Northwest U.S. There were three brothers who came from East Coker. There was Richard, William, and Tristram. Tristram was in Canada and was hired to come to Mass. to teach fishing trades. I was interested in your article as I went to college in New Hampshire and knew nothing of the Dodge connection. I am continually surprised at the initiative of the Dodge clan. Thanks for your comment, Judith. Do you know your lineage and where are you from? I know least about Tristram except that he came to America 40-50 years after William and Richard. Happy Thanksgiving. Hello John. Thank you for this wonderfully researched history. I am a grandson of Robert Gray Dodge. My mother Alice Langdon Dodge graduated from Vassar in 1933 where she became a committed socialist and chaired the Norman Thomas for Presdent Committee. She was active in the labor movement all her life and very much a social justice activist. In 1942 she married my father Victor Wolfson, an author and son of Russian/Polsh Jewish anarchists. It was quite the clash of cultures. The marriage lasted for 23 years. My mother remarried John Herling, a labor journalist and historian she had met while working on Norman Thomas’s campaign for President. Thank you again for this terrific read. Feel free to email me if you have questions or wish to chat. He met Elisha P. Dodge and Nathan D. Dodge in 1869 – Page was recommended to Elisha by John L. Dodge, brother of Nathan, Moses, and Elisha and father of Harry D. Dodge and Chandler Dodge. Page himself was a self-made man of significance in the shoe business, and he was Elisha’s and Nathan’s first salesman starting in 1870. He would have a professional association with Elisha for 25 years. partner was Henry B. Little, and Mr. Little was truly one of God’s noblemen..
A couple of points. Firstly, the Matzeliger lasting machine was a marvel, but it was just one piece. the last one, of the puzzle that revolutionized the automation of shoemaking. The first was a sewing machine powerful enough to stitch through leather. The second was the machine that waxed thread. The third, and it was a major piece, was the McKay stitching machine, which attached the upper to the outsole. Today Blake stitched shoes use the McKay machine. Next was the Goodyear welting machine. With Matzeliger’s lasting machine the entire process was industrialised. I’m unsure how you reached the conclusion that imported shoes led, in part, to the demise of Dodge. If you look at the number of imports it wasn’t until the 1960s after Kennedy’s Trade Expansion Act of 1962 granted much authority to the president, notably the power to reduce tariffs by as much as 50 percent – shoe tariffs were reduced to an average of 12%. In 1955 the US imported 8 million pairs. Shoe imports went to 96 million pairs in 1965 and more than doubled to 202 million pairs in 1969. In the first four months of 1970, one-third of the demand for footwear was being met by foreign makers. Another issue that affected competition was the dominance of the United Shoe Machinery Company. It was the consolidation (in 1899) of the McKay, Goodyear, and other shoe machine companies including Matzeliger’s, and at one point it controlled (IIRC) 98% of the shoe machinery market in the US. United Shoe was one of America’s first multinationals, had the world’s largest factory (in square feet), and it was also one of the first targets of anti-trust lawsuits. United Shoe was run a bit like old IBM. Manufacturers would lease the machines and with it came a contract for United Shoe to provide all the technical support such as maintenance. In 1951 United Shoe had 178 machine types on a lease-only basis and only sold 42 types, usually unsophisticated ones. A lawsuit filed by Hanover Shoe against United Shoe, the plaintiff claimed it was forced into 10-year leases for machines, the lease price included fees for the number of shoes each machine made (lease plus royalty), and United forbade it from looking to other companies’ machines. After several lawsuits and ruling, in 1967 the US Supreme Court ordered United Shoe to be broken up. By 1976 the company was heavily in debt and sold off. Whatever the reason for the bankruptcy of Dodge, it wasn’t alone. Seventy-four other shoe makers were dissolved in Massachusetts the same year. Warmest regards to you and your family. Thank you for your comments, which I am just discovering. I had read some of Mr. Page’s account about working for the Dodges, but not all that’s here. Much appreciated. I think you’re probably correct that imports came long after the Dodge shoe factories were shuttered. I will correct that. I was just in Oak Hill cemetery located the graves of Elisha, Nathan (Chan?) and John Livermore, my great grandfather. Happy to send you photos if you like. Thanks again. Hello John – I have a pair of 1960’s women’s heels made by H. K. Dodge, under the brand “Famous Dodge Shoes”. They appear to be samples as they have no size and are hand numbered inside. Was someone in your family making shoes at that time? Thanks for any info. As a side note, my paternal family (Hayden) is from the Quincy, MA area and were involved in the shoe making trade there. My grandfather sold for United Shoe Manufacturing Corp. in South America for many years in the 1910’s-1940’s. Sorry for the delayed response. Harry K. Dodge could be Harry Dodge who was one of the Dodge Brothers. The other was Chauncey Winship Dodge. I’ll have to look up and see what my Harry’s middle name was. Thing is the Dodge Brothers went out of business in the 1920s. But who knows? Their brand could have carried on. The Dodge’s had a long association with USM as did I at the end of their run in the huge plant in Beverly, Mass. Thanks for reaching out.